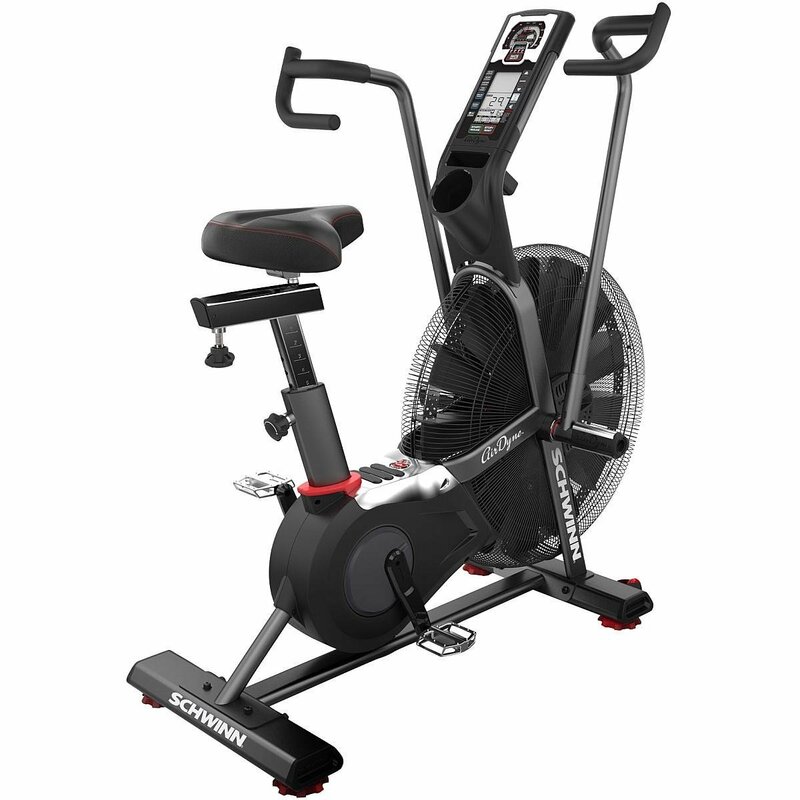 The AD7, also referred to as the Pro, is the top of the line model in Schwinn's popular Airdyne line, a series of air resistance upright exercise bikes that have been a consumer favorite for years. It is a more durable version of the AD6, making it ideal for heavy usage. The Schwinn Airdyne AD7 is constructed of powder-coated steel, with a sleek, compact design and single stage direct drive system. Check out this top of the line model on sale now! The AD7 has been well received thus far and has garnered positive reviews from consumers. It's not as popular as the Airdyne AD6, but that is likely due to the fact that it is newer and a bit more expensive than that model. It was originally called the Airdyne Pro, but it looks like they might have changed it to AD7, perhaps to make it more appealing to the home gym crowd who might be intimidated by the Pro name. Either way, it's the same exact bike. The AD7 is essentially a beefed up version of the AD6, with more solid construction. As such, if there will be more than one user in your household or if it's just you banging away on it every day, it may be a better option for you. It's also a bit more compact, which also makes it very appealing, especially if the space in your home gym is limited. There's a new 26-blade performance fan providing the air/wind resistance. 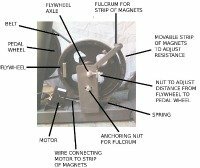 As with all of the Airdynes, the harder you pedal the more resistance created by the fan. When you get tired, you just have to slow your pedaling down and the resistance eases up. Consumers love the oversized comfortable seat, the smooth pedaling motion and the fact that the big fan cools you down even during the most intense workouts so you're not sweating all over the place like you would be on a traditional upright. The only negative here is the Schwinn warranty, which isn't ideal to say the least. You only get 10 years on the frame, so it's a good idea to opt for the extended warranty to cover yourself. You can typically add another 3 or 4 years for under $100, which is well worth it in our opinion. We like the new look of the AD7 as well as the more compact design with higher grade components. 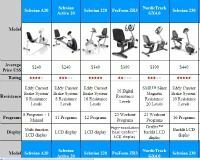 We also like the fact that Schwinn has added some workout programs to the console. As we mentioned, if you're definitely going to use it a lot or if there are more than one user, then it's worth the extra few hundred dollars. 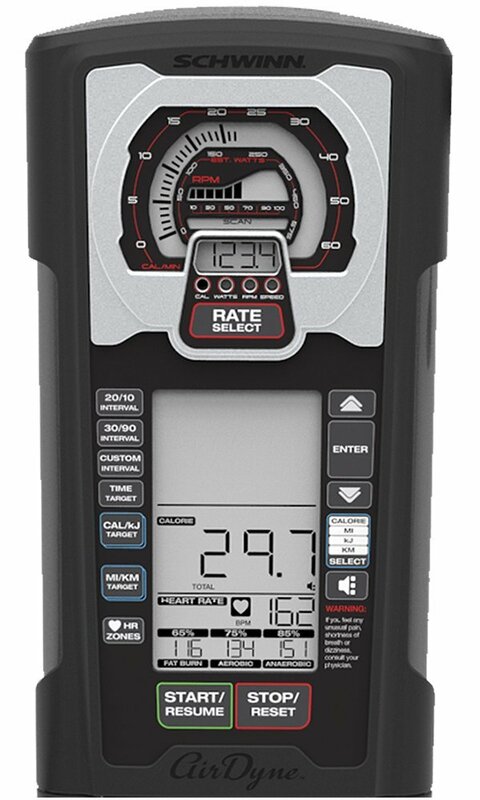 If it's just you or very light usage overall, you'll probably be just fine with the AD6 model. The only thing it is missing is the workouts. Airdynes remain very popular and get great reviews, so if air resistance is your thing and you want something reliable and affordable, you really can't go wrong with one of these. Get more info, specs and special sale pricing on this bike here!